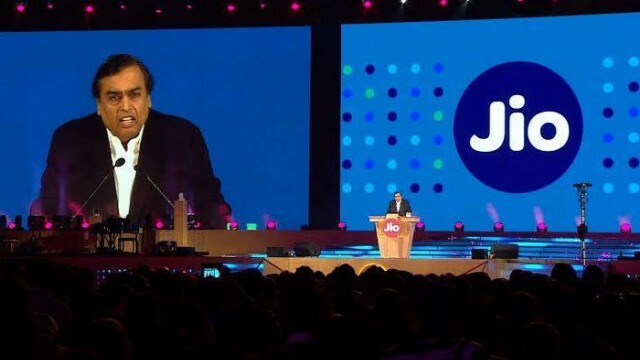 NEW DELHI: Reliance Jio Infocomm Limited (Jio), a subsidiary of Reliance Industries Limited (RIL), said that it may extend the period of free 4G services if its subscribers are unable to get adequate connectivity due to interconnection. Last month, Jio announced the commencement of 4G services, as per terms of its Unified License, with ‘Jio Welcome Offer’ which became effective from September 5, 2016. “Jio Welcome Offer’, users have access to unlimited LTE data and national voice, video and messaging services along with the full bouquet of Jio applications and content, free of cost up to December 31, 2016. All the Jio applications, including JioTV, JioCinema, JioMusic, JioMagazine, JioNews… put together worth Rs. 15,000 for an annual subscription, have been provided complimentary for all active Jio subscribers up to December 31, 2017,” the company said in its Q2 FY17 report. The company also filed its tariff plans with the Telecom Regulatory Authority of India (TRAI). The tariff plans are substantially simplified over prevailing industry practice. Benefits of new technology have been passed onto customers with completely free local, national and national roaming voice services as well as highly economical data services. According to the company, the ‘Jio Welcome Offer’ provides an opportunity to every Indian to learn, try, customize and experience high quality digital services. “The company also proposes to use this time period (Until Dec 2016) for resolution of interconnection related issues that it has faced with incumbent operators. Jio may extend the period of free services in case its subscribers are not able to get adequate experience of seamless connectivity across network due to interconnection congestion and the quality of service parameters are not as per the benchmarks desired by the Jio management,” said the RIL Q2 FY17 statement. Jio has redesigned the Jio sign-up experience and made it 100% digital using an Aadhaar-based eKYC process. The company has introduced Aadhaar-based paper-less activation across 4,100 cities and towns. This enables the customer to complete the SIM activation process in a matter of minutes, with only his/her Aadhaar number. This process will be extended across the country and fully stabilized for satisfactory on-boarding experience in the next few weeks. “Jio has created a world record by crossing 16 million subscribers in its first month of operation (September 2016). Jio has achieved this growth faster than any other telecom operator or start up in the world including the likes of Facebook, WhatsApp and Skype,” RIL said in the statement. The Chairman, Mukesh D. Ambani, said that the company was delighted and humbled by the overwhelming response across India to the ‘Jio Welcome Offer’. He reiterated that the company is customer-obsessed and committed to improve every day to exceed expectations of the customers. Jio applications have been very popular on the network. In a week from launch, all the 12 Jio applications were ranked in the top 15 applications on Playstore and Appstore. The customers of India have continued to face severe quality of service (QoS) issues owing to inadequate release of points of interconnection by the incumbent mobile operators to Jio. Call failure rates continue to be severe with over 75 calls failing out of every 100 call attempts on the networks of some of the operators. This is in breach of QoS regulation that not more than 5 calls out of every 1,000 call attempts can fail. While Jio has rolled out a state-of-the-art network, the benefits of superior voice technology have been denied to public at large due to the POI congestion. Indian public have not been able to enjoy Jio’s free voice offer as a result of such anti-competitive behaviour of incumbent operators in breach of license conditions. During the quarter, Jio further increased its pan-India spectrum footprint with the acquisition of right to use 269.2 MHz (UL+DL) spectrum across all 22 Service Areas in the country in the auction conducted by Department of Telecommunications (“DOT”), Government of India in October 2016. The payment to be made for the right to use of this technology agnostic spectrum for a period of 20 years is Rs 13,672 crore. Through this acquisition, Jio’s total spectrum footprint has increased to 1,108 MHz (UL+DL) with an average life of over 16 years, further strengthening its leadership position in liberalized spectrum holdings. Jio’s spectrum footprint ensures availability of spectrum in all the three bands across each of the 22 circles in the country and enhances its network capacity at negligible incremental capital and operating expenditure. Jio is the only operator using sub-GHz spectrum band for LTE services in the country today. The combined spectrum footprint across frequency bands provides significant network capacity and deep in-building coverage. Reliance Jio likely to extend free 4G services offer to subscribers 0 out of 5 based on 0 ratings. 0 user reviews.